Uppsala, Sweden, 19 March 2018: Gyros Protein Technologies AB, a pioneer in automated nanoliter-scale immunoassay platforms and leading provider of peptide synthesizers and reagents, today introduced a new 5 CD model, Gyrolab® xPand, in response to customer requests to provide higher throughput, greater flexibility and faster analysis of large sample numbers. Gyrolab technology significantly accelerates the process of discovering and developing new and safer biotherapeutics. The introduction of Gyrolab xPand reflects the on-going evolution of the Gyrolab platform, with ever more advanced instrumentation and software designed for 21 CFR part 11 compliance. During assay runs, the new multi-CD platform maintains samples at 2 – 8°C, diminishing the possible adverse effects of on-board sample storage. As an open platform with built-in flexibility, Gyrolab xPand can be adapted to the specific needs of each user for example, different assays can be mixed within a 5 CD run, while maintaining high quality results. 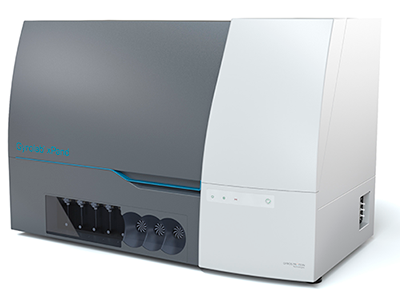 Scientists will continue to increase their productivity with the new Gyrolab software capabilities for desktop experiment planning, experiment mapping, as well as advanced functions for dilution linearity and spike recovery studies for assay qualification. Gyrolab technology includes optimized, ready-to-use kits for cell line development, bioprocessing applications and pre-clinical PK/TK, simplifying assay workflow and shortening run times. Some clients have reported a 40% reduction in project times versus alternative technologies. The proprietary Gyrolab CD technology, with highly reproducible nanoliter microfluidics, is integrated with Gyrolab platforms to automate nanoliter-scale immunoassays with parallel processing, using laser-induced fluorescence detection. Gyros Protein Technologies will be showcasing Gyrolab xPand at booth #417 at BPI West conference in San Francisco on March 19-22. The unit will also be displayed at the 12th WRIB conference in Philadelphia, April 9-13. 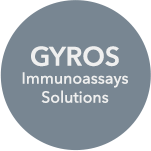 Gyros Protein Technologies, enables peptide synthesis and bioanalytical solutions that help scientists increase biomolecule performance and productivity in research, drug discovery, pre-clinical and clinical development, and bioprocess applications. Our low to mid-scale peptide synthesizer platforms are the Tribute®, Prelude® X, Symphony® X, and Sonata®. These solutions and our chemistries deliver uncompromising purity, flexibility, and quality for discovery and pre-clinical studies of simple to complex multifunctional peptides. Proprietary high performance nanoliter-scale immunoassay platforms, Gyrolab® xPand, Gyrolab® xP workstation and Gyrolab xPlore™, are used by scientists in leading pharmaceutical, biotech, CRO, and CMO companies for bioanalytical applications such as pharmacokinetics/pharmacodynamics, immunogenicity, and quantitating bioprocess-related impurities. Our peptide synthesis and bioanalytical solutions accelerate your discovery, development, and manufacturing of safer biotherapeutics.